Tykes George Moncur. Picture Tony Johnson. George Moncur has been impressed with Jose Morais’ methods since taking over at Barnsley. Morais, who honed his craft under current Manchester United boss Jose Mourinho at Inter Milan, Real Madrid and Chelsea, joined the Reds in January after Paul Heckingbottom’s untimely departure to Yorkshire rivals Leeds United. The Reds have won just once since Morais’ appointment and he has come under fire for his selection policy, but Moncur said: “I like him, I think he’s good. He’s been different to what I’ve been used to so far in my career. “His methods are very precise and you know what he wants. “I’m sure he’ll be good for us now he’s had more time to get to know the players more and hopefully we’ll perform better. 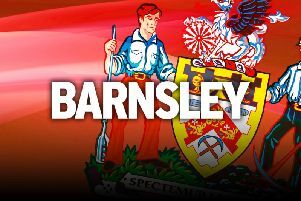 Barnsley are facing a race against time to avoid relegation, with just eight games left to keep their Championship status. But Moncur is confident the Reds can turn things around despite a poor campaign, which has yielded just two wins in their last 24 games. The former West Ham midfielder added: “I’m a confident person myself and all the boys in the dressing are as well. “We’ve definitely got enough quality to stay up but it’s about performing on the day. Meanwhile, Darlington striker Harvey Saunders impressed on trial at the club last week. The 20-year-old is managed by former Reds player Tommy Wright, who went on to play for the Quakers after his stint at Oakwell. And Wright said: “From what I’ve been told, Harvey has impressed Barnsley this week with his attitude and approach to the game. It won’t do him any harm being down there – it’s a great opportunity for him to show what he’s about.